On Friday 2nd November, CSS held a free training for Accountants on How To Kick Start Your Accounting Career and Get A Job Faster. The purpose of this training was to assist those with little or no experience on ways they can build a strong personal brand and start networking for success in their accounting careers. How to build a strong personal brand as an Accountant. How to succeed in every job interview. The secret to marketing and selling your brand through networking. How CSS can help Accountants in their journey of career success. 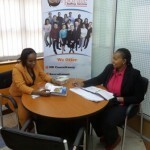 There are over 18,000 Accountants in Kenya who have the theoretical knowledge in Accounting but do not have the practical skills. Most of them lose out on job opportunities because they do not have practical skills. To provide a solution to this, CSS holds a Practical Accounting Skills Training to provide Accountants with the skills that they require in standing out and succeeding in their accounting careers. Cedric, an accountant with three years of experience said, “I wish I had this information three years ago. This is exactly what all accountants need. Even at my work place, so many do not have certain practical skills”. “Thank you CSS for providing this platform especially for young graduates such as myself who need the experience but are lost on where to find it”, said Mary, a fresh graduate. This training is definitely for you if you want to build a strong personal brand, gain the confidence to pursue greater accounting roles and also network effectively with other Accountants. Please click this link to remain informed on upcoming Practical Accounting Skills Training. 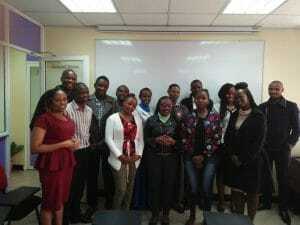 Some of the participants from the Free Training for Accountants.